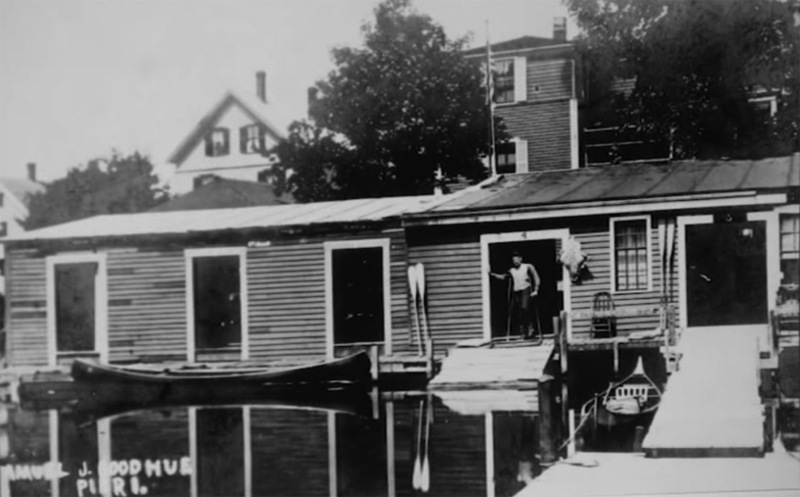 Goodhue’s pier is long gone, but the the white house above the pier building still stands, and the location is a public boat launch. 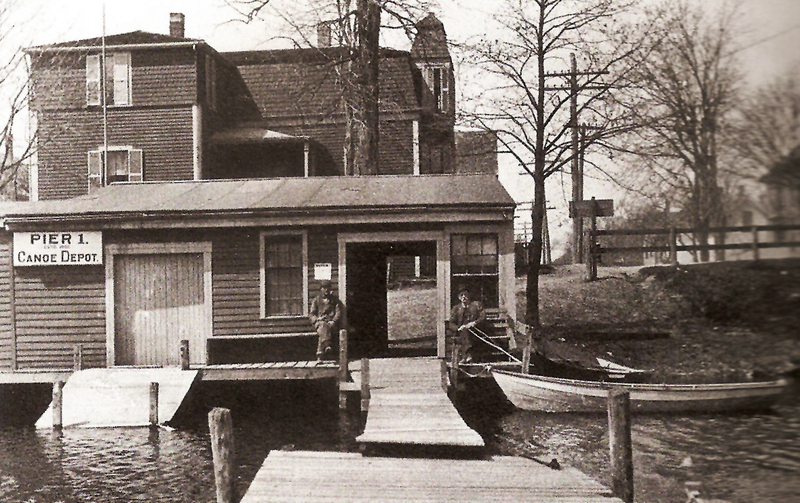 Photo by George Dexter, around the turn of the 20th Century. 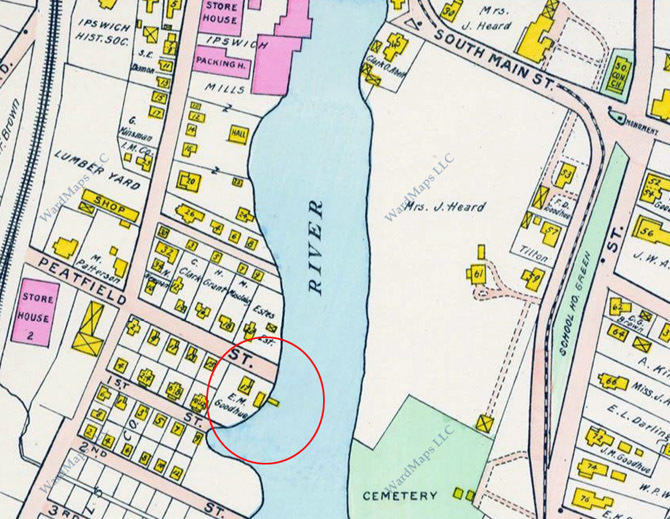 The location of Goodhue’s pier is shown on the 1910 Ipswich map. 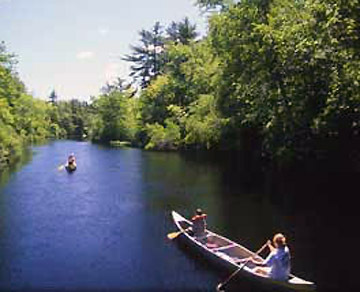 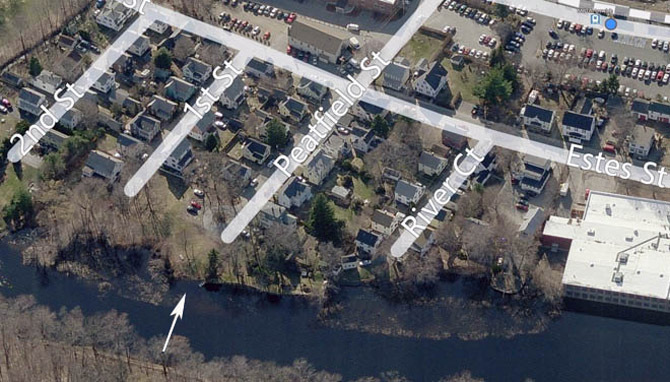 The former location of Goodhue’s pier and present day canoe landing.